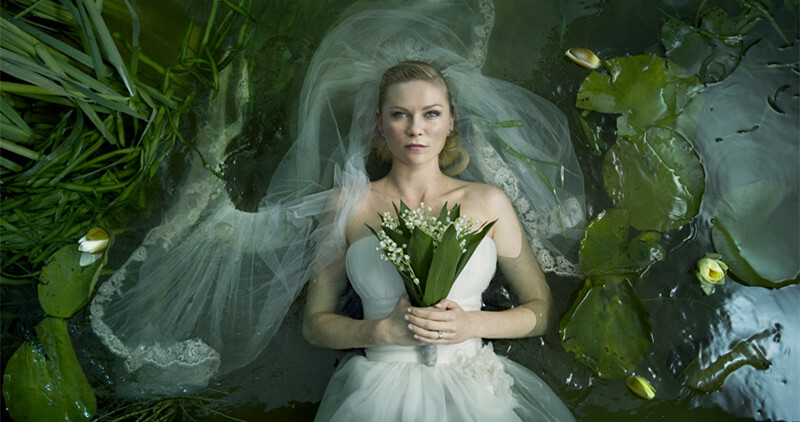 Lars von Trier’s “Melancholia” is a part of the so-called Depression Trilogy, along with “Nymphomaniac” and “Antichrist”. Another term for the trilogy could be the Despair Trilogy, since various mental illnesses and disorders are depicted in these films. All of them are tied together by the phenomenon of despair, and a sense of hopelessness and frightfulness. The director himself suffered from depression and has firsthand experience with the nature of that particular subject. Leonard Cohen, in an interview discussing his struggling with depression, said that creating art is a victory over suffering, since you cannot think coherently in this condition. We may very well say that this trilogy is a victory over suffering. While “Nymphomaniac” is a character study of the phenomenon suggested in the title, “Antichrist” can be seen as a tango danced with the Devil, to paraphrase the title of Bela Tarr’s masterpiece. These films also deal with the subject of human nature and the characters suggest that it is evil. For Lars von Trier, as it seems, humans are highly problematic beings, and that may be an understatement. 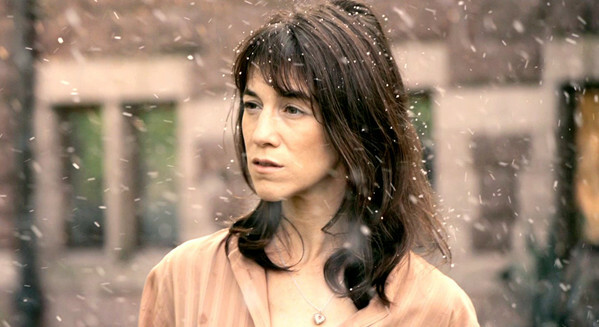 Justine thinks that the human race should be destroyed because it is evil; Charlotte Gainsbourg’s character in “Antichrist” believes that the nature of women, as well as men, is evil. “Melancholia” deals with Justine and her sister Claire and consists of two parts. In the first part, Justine’s marriage ceremony is depicted, in which everything goes wrong and we learn of her illness. In the second part, the planet called Melancholia is about to strike Earth. We can see various kinds of psychological responses to this situation. 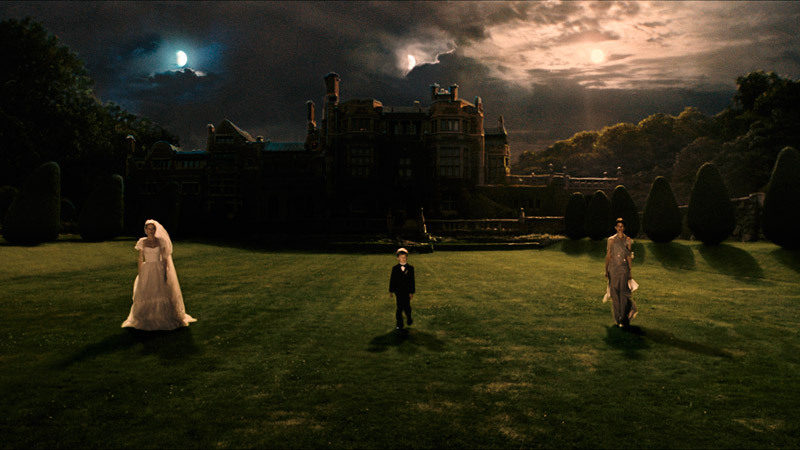 Cinematography, music, and acting all make “Melancholia” a striking piece of art, one that is truly captivating. It is interesting that the film can be enjoyable as well, which is a great accomplishment considering the subject matter. The film seems to put a “spell” on the viewer and fixates his eyes on the screen. In this article, seven reasons will be provided as to why this movie is so captivating and mesmerizing. At the beginning of the film, the planet Melancholia, which hits the Earth at the end of the movie, is shown merging with our planet. It is as if illness is consuming Justine, destroying the way she functions. The whole idea behind a planet hitting Earth is, of course, an allegory of the destruction of the individual through mental illness. The planet is massive and frightening, and there is no possibility of evading it. Lars von Trier’s choice of this particular metaphor is to emphasize the destructive and terrifying struggle with depression. It may also be a metaphor for suicide, and the self-destruction of an individual that is sometimes seen as an escape from suffering by people who struggle with depression. It reaches even further, signifying the annihilation of the entire human race. Justine’s horse’s name is Abraham. As it is well known, Abraham is asked by God to sacrifice his only son. It is as if the whole humanity is sacrificed to Melancholia because it is evil, as Justine says. The film gains a contemplative aspect when viewed in this light and opens up a question concerning the value of the human race. It is as if human nature is marked by a stain from its very beginnings, as the doctrine of the original sin suggests, and the only path to correct the constant wrongs that humans do to each other is simply their extinction. The name Justine is probably an allusion to Marquis de Sade’s Justine. She is tortured by her captors and her virtuous persona is constantly violated by every atrocity imaginable. Von Trier’s Justine is, on the other hand, tormented by depression, the illness that impairs the “normal functioning” of mind and body in all aspects of human existence. The symbolism of her fiance Michael’s name could be a reference to the archangel Michael, who was considered to be a healing angel in the 4th century AD. He is compassionate and tender toward Justine and wants to be her safe haven. The music that is a leitmotif in the film is Richard Wagner’s Prelude to “Tristan und Isolde”. Friedrich Nietzsche wrote in one of his works that the first time he had heard this Prelude he became a Wagnerian. However, not all receptions were this enthusiastic. For example, the reaction of Eduard Hanslick, a music critic, was that it “reminds one of the old Italian painting of a martyr whose intestines are slowly unwound from his body on a reel.” Various comments were made on the piece, and it was criticized for its “worship of animal passion.” A parallel may be drawn between these reactions and those of critics’ response to von Trier’s later works. Nietzsche also believed that great art must be made out of “musical consciousness”, and it could be said that this applies to “Melancholia”. At times, the film’s tempo is a powerful crescendo and sometimes the pace is slowed to explore characters’ emotions and attitudes. Wagner’s Prelude gives the narration its grandeur, and its dramatic and even ecstatic qualities. The film has its own prelude and is accompanied by Wagner’s. The grandeur of images and the music explore the imagination and cliches behind the apocalyptic themes. What ties together these two artistic pieces, aside from the fact that music is a part of the film, is the tragic element in both. “Tristan und Isolde” ends with the death of the lovers, and von Trier’s movie ends with the destruction of the entire planet. The prelude is used in various occasions in the film, usually in those with high emotional investment; for example, when a broken Justine kneels on the ground and looks at the sky after running away from the wedding. It enhances the scenes’ dramatic component, and although the narration is full of despair and anxiety, Wagner’s music provides it with passion. Rarely in films can we see this vivid and truthful representation of mental illness. Mostly, there is something radical and grotesque in the portrayals. 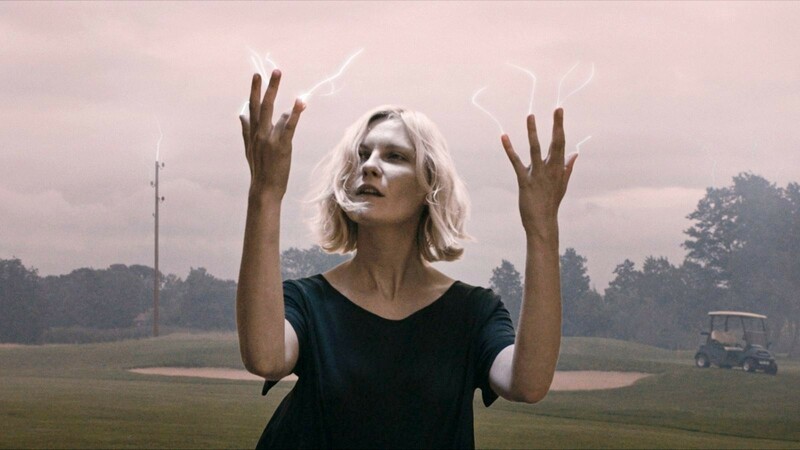 “Melancholia” remains well-founded in its portrayal of depression and the weakness and the destruction of will that it brings upon an individual. Another film that captures depression greatly is Antonioni’s “Red Desert”, in which the state of the mind of the protagonist is accompanied by bleak industrial landscapes. That portrayal is so successful because it captures the vulnerability of Monica Vitti’s character. Later in the film, she cannot enter the bathtub because of the weakness in her entire body and spirit. When her sister takes her for a horse ride, she starts to beat the horse with a stick until it falls to the ground. This can be understood as a desperate attempt to obtain a feeling of power. She is completely powerless in her mind and body and by hurting others, she tries to provoke emotional responses and feel something other than hopelessness. While Justine struggles with depression, Claire is anxious about the world being destroyed by Melancholia; she cannot bear the thought of everything ending, since she has a family. They can be seen as one person going through different stages of life, or rather different emotional problems. She manages to portray not only the despair that captures a person under depression, but also cynicism and fake laughter in a way that truly captivates the viewer. Her facial expressions sometimes depict the complete lack of emotions, and an emptiness, but also high emotional tension. The film opens with her face showing indifference to the terror around her, but also a loss of hope. In one word, it shows resignation. Later in the film, she portrays a person under depression that is facing a disaster, but she becomes cold and more confident. Her calmness while everyone around her panics, or commits suicide, is in high contrast to her earlier fearful behavior and her being powerless. She succeeds in capturing various ranges of emotional involvement, and her face resembles a canvas on which the director can paint practically anything. In an interview about “Melancholia”, Dunst says that von Trier sometimes communicates with his actors without words, but also communicates with the audience through his actors. It’s as if von Trier’s emotions managed to reach the screen through Dunst’s acting; this is a connection that is rarely seen in film, and it may be one of the reasons for the film’s eventual success. It is hard to imagine anyone else playing this role with that much devotion and truthfulness in depicting the character.